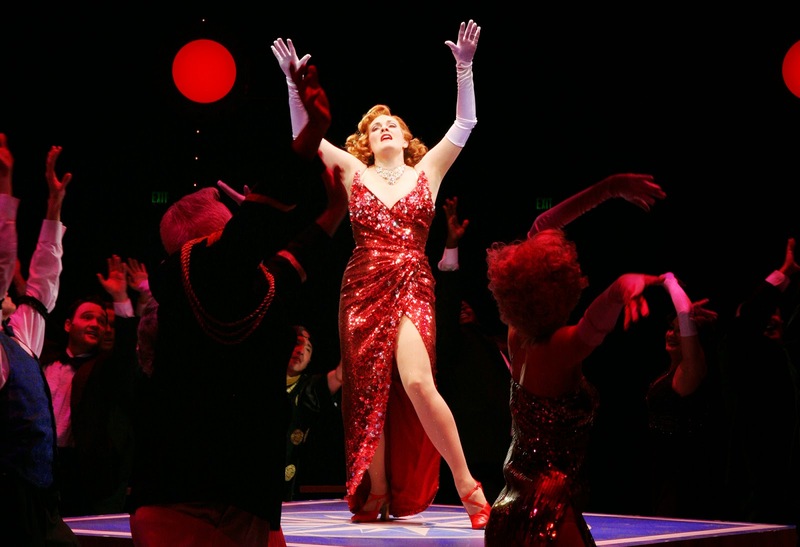 Danette Holden reaches musical heaven as Reno Sweeney. Photos: Paul Lyden. Yet somehow it's a little hard to love this version - speaking as one of this musical's greatest fans. Something about it doesn't quite gel until the end of the first act, when Lichtefeld's dances finally lift us to the heights we expect (as in his brilliant staging of "Blow, Gabriel, Blow," above). Until then we can feel the cast hitting every note and beat with confident ease - they're all terrific singers and dancers - but they don't seem to have warmed up to each other for some reason, so things feel slightly mechanical. Broadway vet Danette Holden, for instance, certainly has the chops to put over Reno Sweeney, the former evangelist who's now the headliner on Porter's luxe ocean liner; but when she claims she's carrying a torch for stockbroker Billy Crocker (Eric Ulloa), we don't feel its rueful, knowing heat. And Ulloa himself has trouble convincing us he has fallen hard for good-girl Hope Harcourt (the sweet but stern Alessa Neeck, with Ulloa at left); indeed this smashing singer, who tore his way through Bye Bye Birdie a few seasons back, seems a bit lost as Billy on several counts. He finds his feet in the part's slapstick, though - much like the other comics on board, who generally fare better than the lovers. 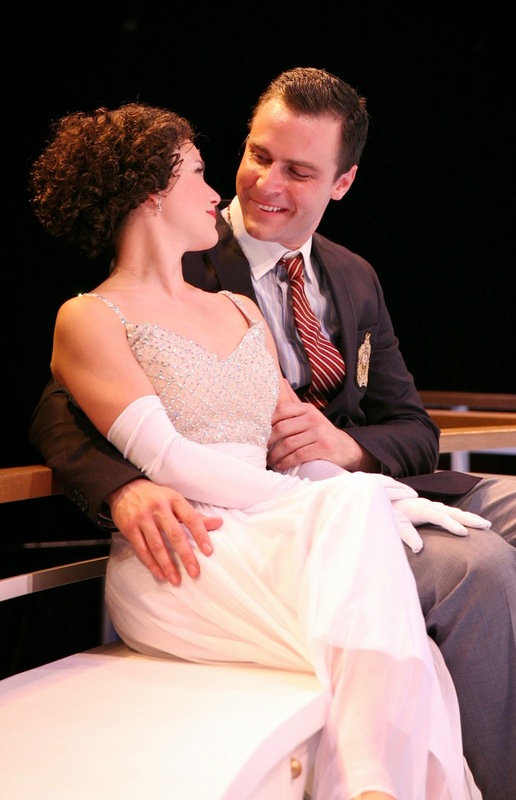 Understudy David Scott Purdy, for instance, charms as a rather fresh-faced Moonface Martin (the gangster-in-disguise who kick-starts the farcical subplot), even as the brassy Alaina Mills polishes her hard-boiled moll to a bright shine. Meanwhile Michael Mastro puts a fresh spin on the old Terry-Thomas act as Evelyn Oakleigh, the British lord who mangles Americanisms so endearingly. And of course in the end, this is still Anything Goes - which means you're treated to not just the title tune, but also "I Get a Kick Out of You," "Easy to Love,""Friendship," and "You're the Top," among others. That counts as just about the top of American songwriting; and the band is tight, the voices strong, the dancers effervescent - so once the big numbers take over, the show sings just as it should. I've seen Anything go down with more romantic feeling, it's true. But this version can kick up its heels with the best of them. Alaina Mills has her way with the dance ensemble.